Dr. Burke-Doe specializes in pediatric physical therapy and brings more than 20 years of physical therapy experience to her position. Prior to joining the University of St. Augustine for Health Sciences, she served as an assistant professor at California State University, Fresno. Dr. Burke-Doe has also served as rehabilitation director for Regency Healthcare and physical therapist in various hospital and private clinic environments including Rady Children’s Hospital, Dameron Hospital, Crestwood Behavioral Health, Inc., and Sunny Days, an early intervention provider. She published Physical Therapy Case Files: Neurological Rehabilitation (McGraw-Hill, 2013), and contributed most recently to several works including, The Color Atlas of Physical Therapy (McGraw-Hill, 2015), Pathology Implications for the Physical Therapist (Saunders Elsevier, 2015), and Neck Pain: Causes, Diagnosis and Management (Nova Science Publishers, Incorporated, 2011). 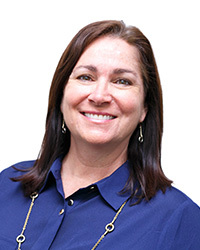 Dr. Burke-Doe holds a California Physical Therapy License and is a California Children’s Services paneled physical therapist, certified grant writer, and certified grant reviewer. She is also certified by Flinders University in Chronic Condition Self-Management. She is an active member of several professional organizations, including the American Physical Therapy Association (APTA) and the California Physical Therapy Association (CPTA), and is on a number of state and national committees, including the CPTA Education Committee and the CPTA Delegate.